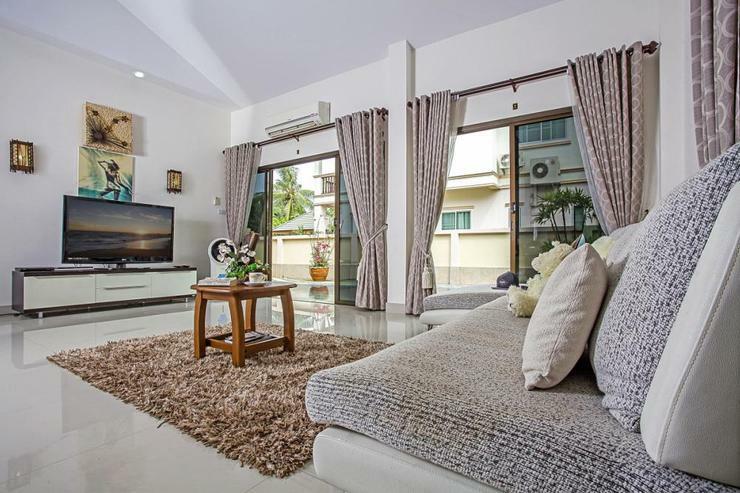 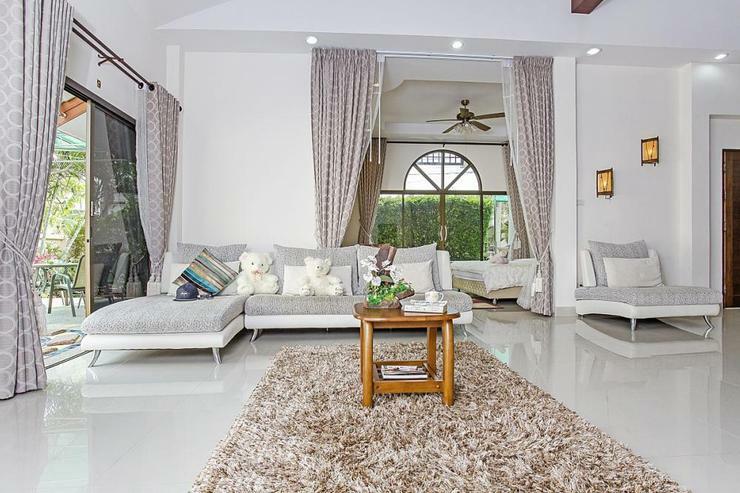 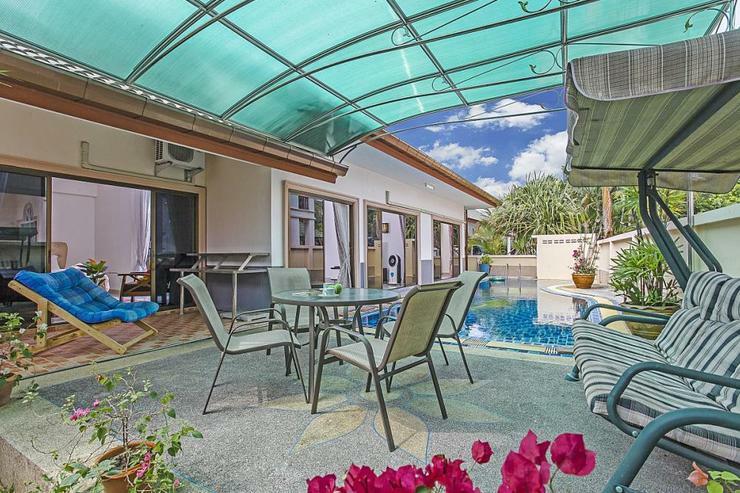 Situated in a development in the Pattaya countryside, this villa is a 5-minute drive from Ban Amphur Beach and 2-minutes from Buddha Mountain. 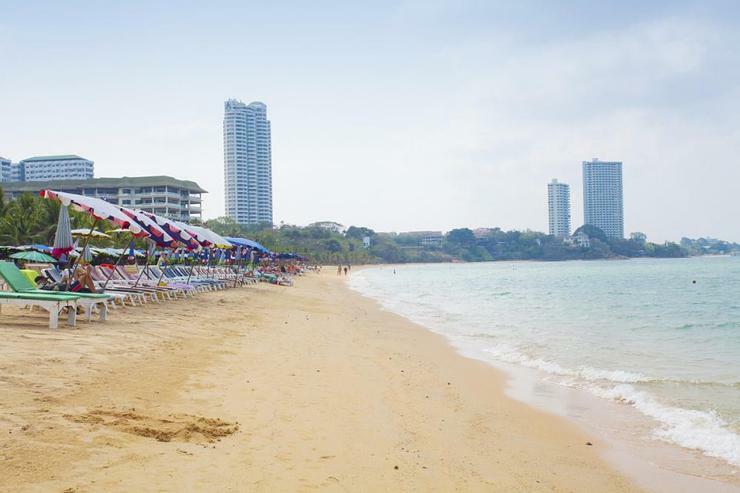 It will take 20-minutes to drive into Pattaya and 15-minutes to Jomtien. 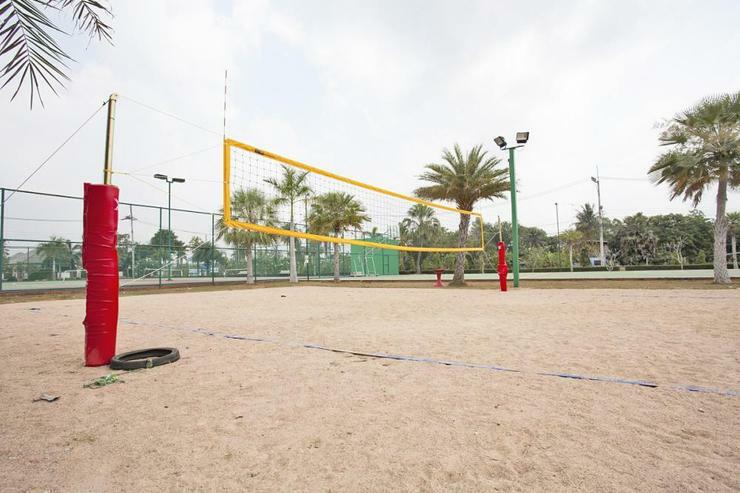 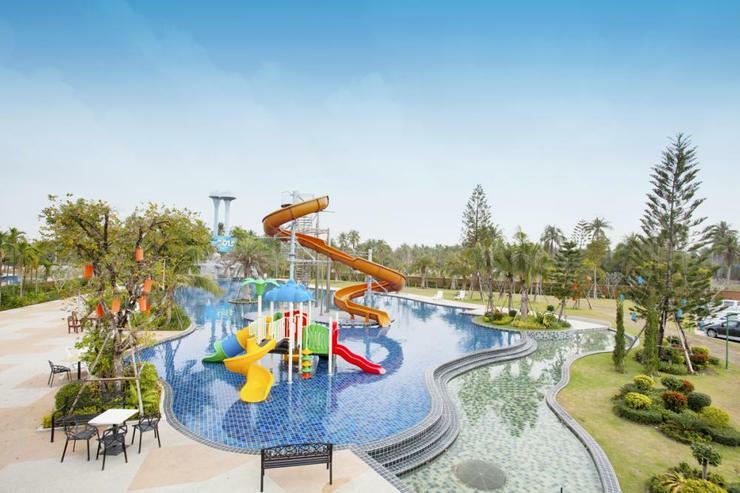 There are lots of onsite facilities on the development to keep you busy such as a swimming pool with water slides, tennis and basketball courts, a fitness center, fishing lake, children’s playground, church, spa and restaurant. 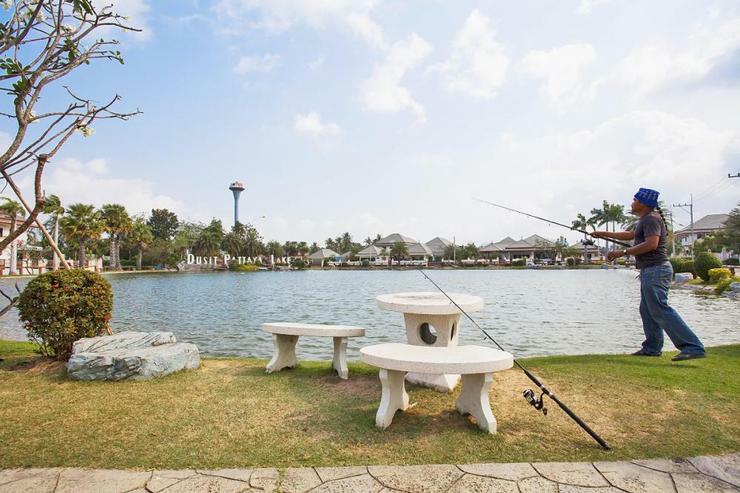 Golf courses are also nearby in Rayong and Huay Yai. 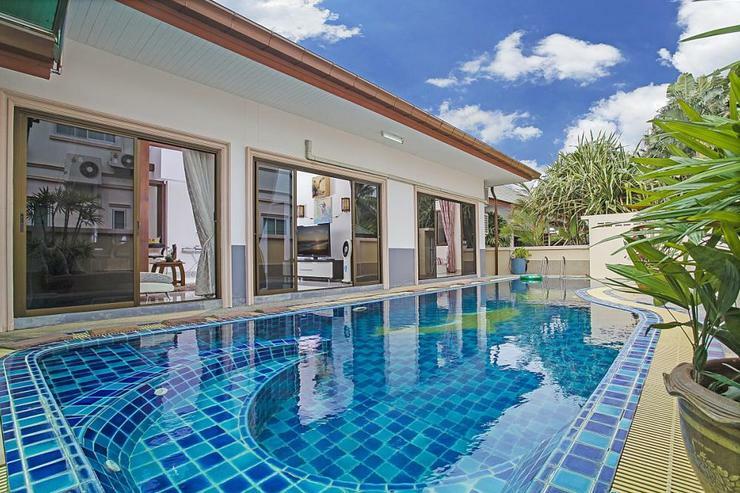 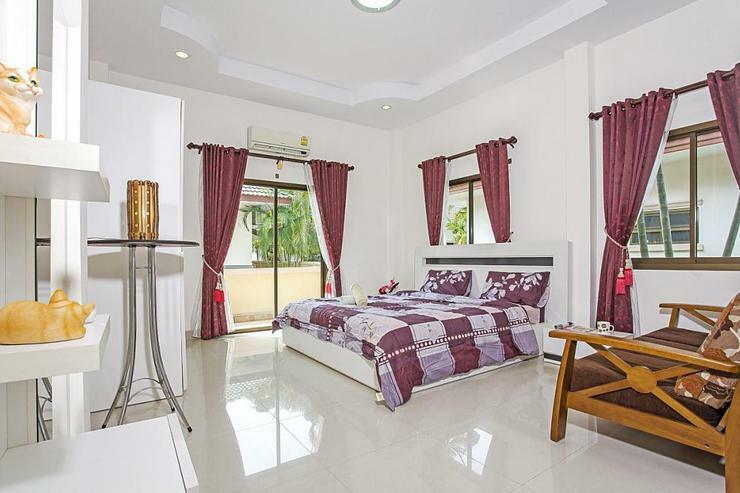 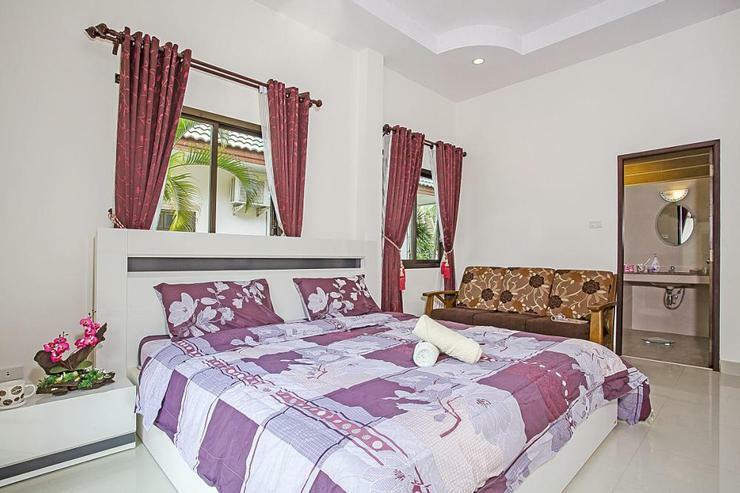 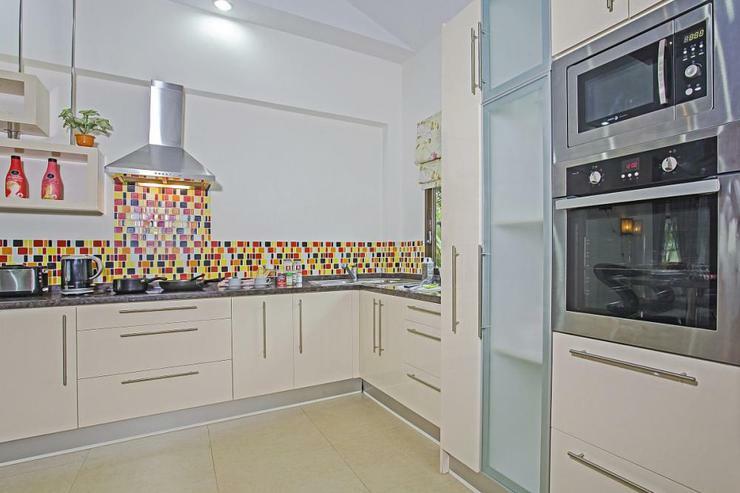 This 3-bedroom pool villa for rent in Ban Amphur is just a 5-minute drive to the beach. 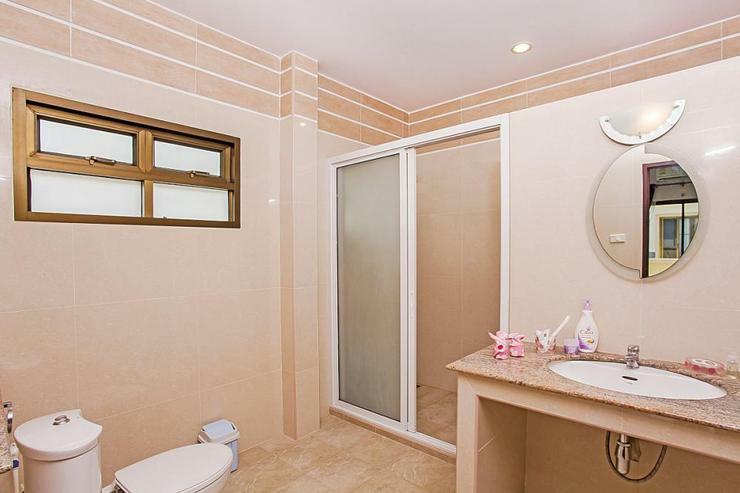 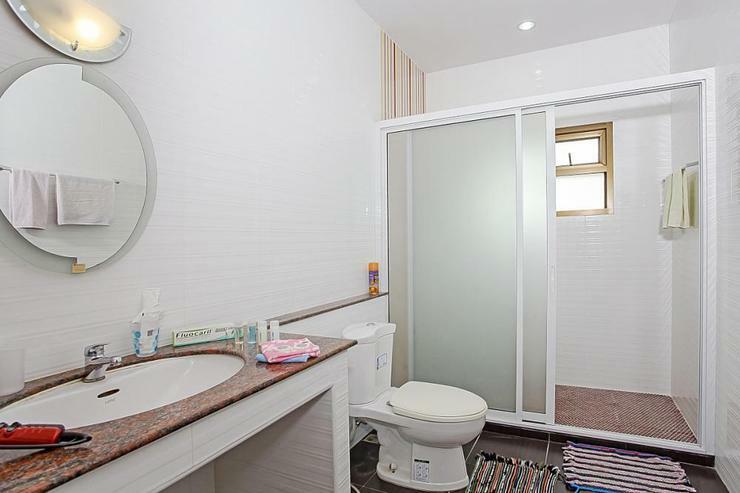 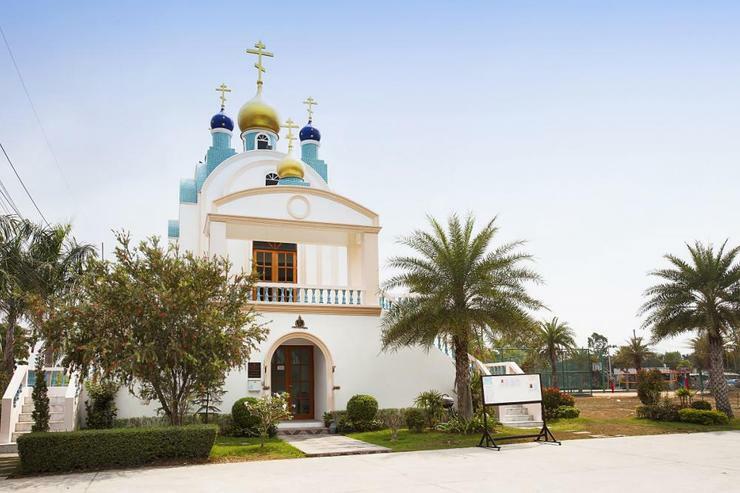 Located in a gated residential development with 24-hour security in a beautiful countryside location near to Buddha Mountain and Silverlake Vineyard. 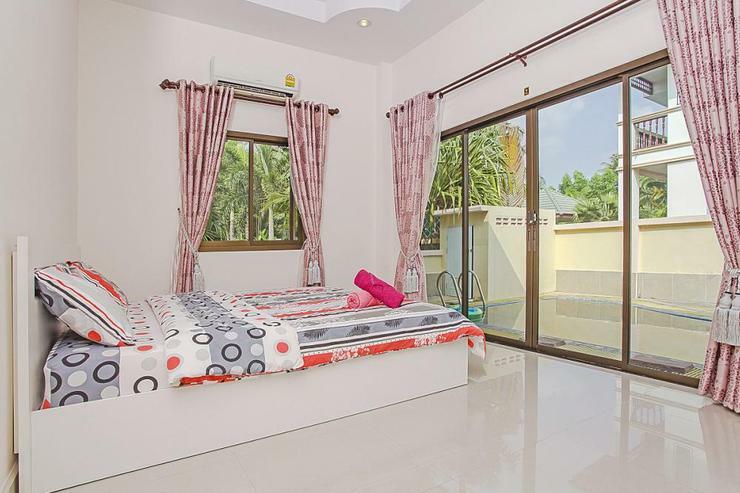 This is a villa rental geared towards those looking for a tranquil holiday in one of the most naturally stunning parts of the region, perfect for families and groups of friends. 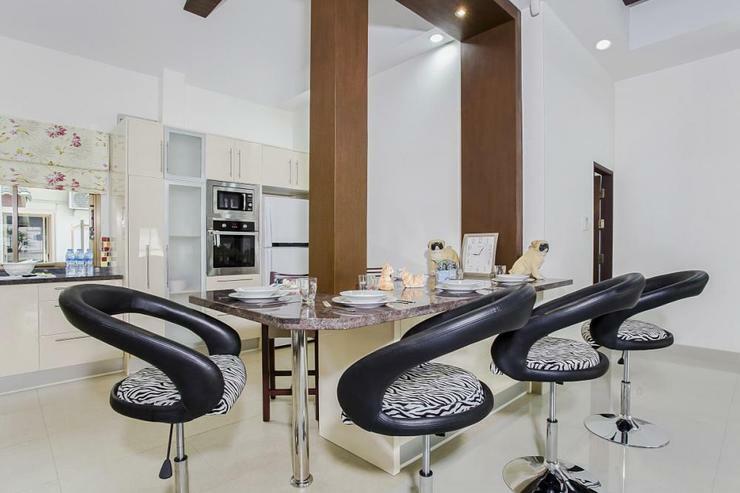 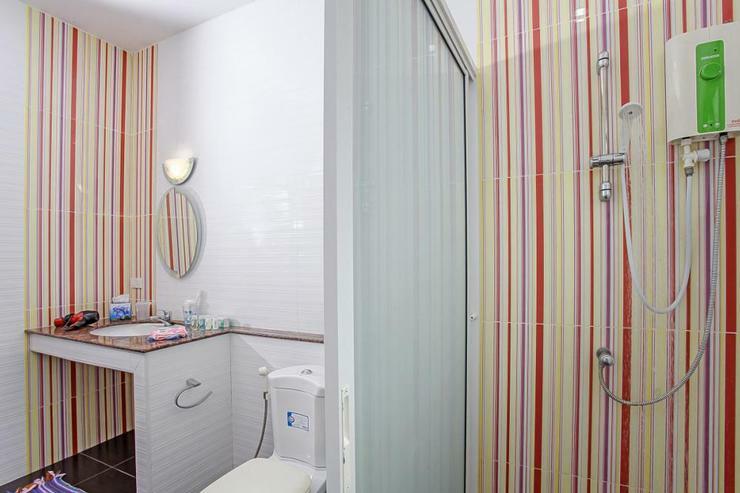 There are 3 bedrooms, 2 bathrooms, an open plan lounge, and a kitchen with a breakfast bar for dining. 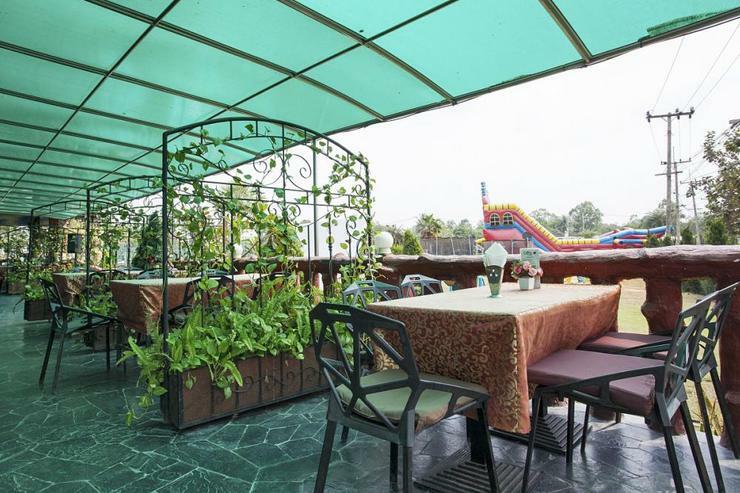 There is a nice garden with plants, a private swimming pool and an adjoining terrace. 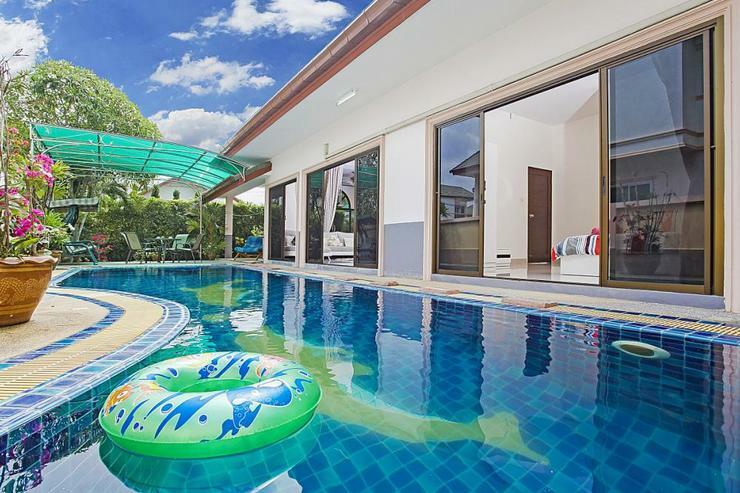 When you seek a stylish villa that sleeps up to 6 people in a stunning countryside location, this 3-bedroom villa was created with your Thailand holiday in mind. 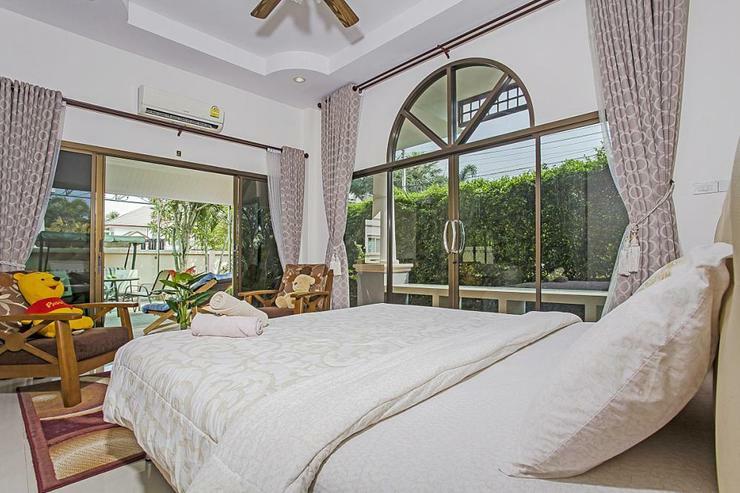 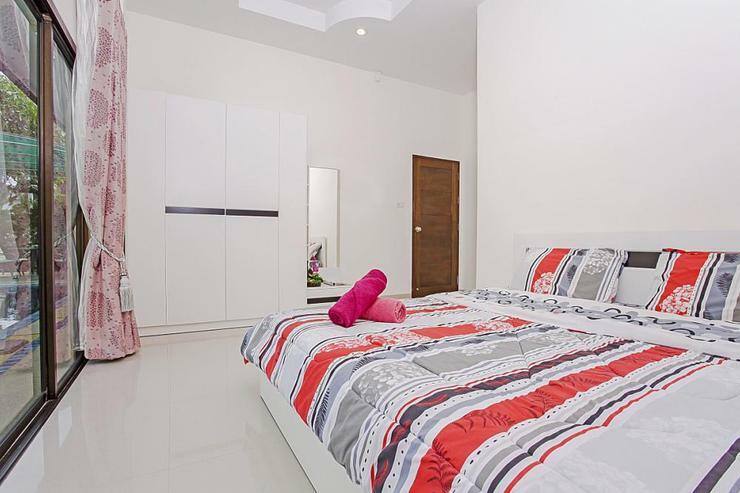 Located on a residential estate in Pattaya countryside, just a 5-minute drove from the beach and a 2-minute drive to Buddha Mountain and Silverlake Vineyard, the villa is private but still has many nearby things to enjoy. 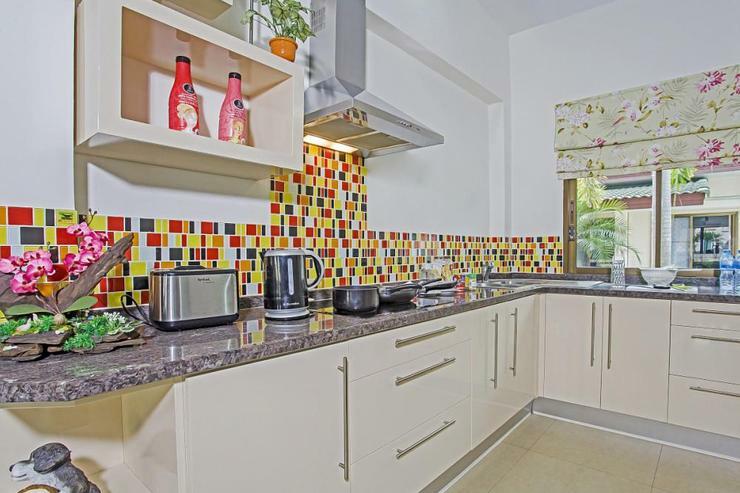 The estate’s communal facilities include a fishing lake, gym, spa, swimming pool with slides, a church restaurant and tennis and basketball courts. 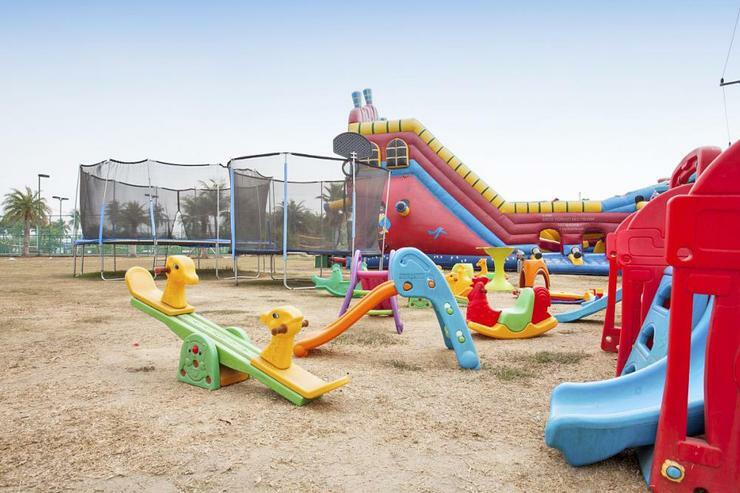 Golf courses are a 10-minte drive. 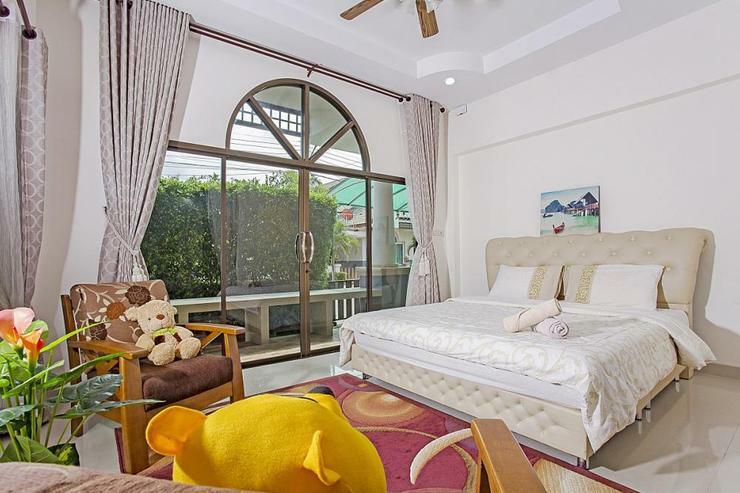 Pattaya is a 30-minute drive, and Jomtien is 20 minutes away.